Garage doors are generally pretty standard fare. The tried and tested designs of aluminum or steel garage doors can be seen all over the country, and they do the job well. But why should we stick to these universal garage door ideas? Your garage door takes up a large portion of the front of your home, so don’t you want it to be something that will grab the attention of passers-by and visitors? If you’re ready to revamp your garage door, here are a few innovative ideas to get your neighbors talking. Rather than the typical steel or aluminum garage doors you see on every street, a glass garage door can add an extra touch of sophistication and intrigue. As well as the aesthetic appeal, you have the extra benefit of letting light into your garage during the day, which is good if you tend to spend time in there. Translucent glass can give you privacy and conceal any valuables in your garage, too. These doors are typically supported by a metal frame, so they are still strong enough to last. Think outside of the box and use a garage door for something other than your garage. Replacing part of an exterior wall of your house with a garage door can really add interest. A glass garage door is the perfect choice for this because it will also let light into the room. This will serve as an additional way in and out of your house, making it perfect for leading onto your backyard from a conservatory or “man cave,” for example. While glass garage doors are a way to add a modern appeal to the front of your home, installing carriage house-style garage doors can provide a more traditional, vintage appearance. Making your garage look like an old-fashioned farmhouse, carriage house doors look like they’ll open up like a swinging gate but can actually open upwards just like any modern garage door. Garage doors made from wood are a little more common than glass garage doors, but they still provide a different appeal than the traditional steel doors. Different types of wood can be used and stained a variety of colors to create the look you want for the front of your home. 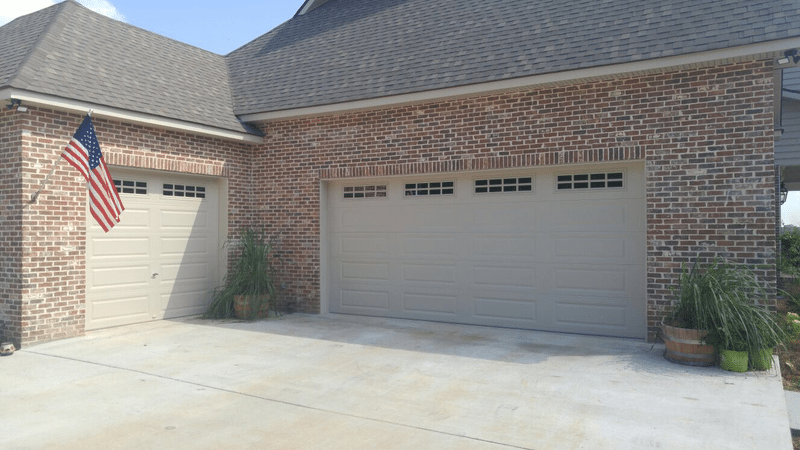 If you’re in the market for a new garage door, stop and think about these different designs to make your home impress anyone who sees it. For garage door installation in North Carolina, we can help you out – just get in touch with Carolina Garage Door.